If you live up North, you're likely used to harsh winters. While you may stay cozied up in a warm house, your dogs need to go out every once in a while to relieve themselves and get some much-needed exercise. Regardless of the dog's breed or size, it's important to keep a watchful eye as they frolic through the snow. 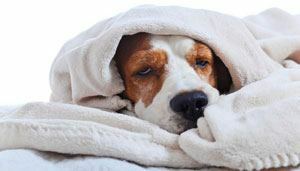 Like humans, dogs are susceptible to hypothermia and frostbite if left outside for too long. These conditions aren't to be taken likely. Both issues can be experienced simultaneously and will worsen the longer the dog is exposed to the cold weather. Furthermore, these issues can have lasting effects if not properly treated. It's important to understand what these issues are, how to spot them, and what to do if your furry friend experiences them. Frostbite is a condition that occurs in extreme cold. Dog are at risk once the temperature falls below 32 degrees Fahrenheit. Essentially, frostbite refers to tissue damage in the body. It occurs because of the body's natural survival processes. As the body temperature falls, blood flow to various parts of the body will drop. This helps to keep vital organs like the heart safe from the cold. To retain heat, areas that are furthest away from the heart will experience a drop in blood flow. This includes the tail, ears, nose, and paws. Without a proper flow of oxygenated blood, tissue will begin to die and form ice crystals. Unfortunately, frostbite isn't easy to spot. It's not uncommon for owners to notice the issue days after it started due to the cover of hair. The most commonly affected areas include the ears, nose, and paws. If you suspect frostbite, examine these areas closely to determine the extent of the damage before proceeding with treatment. Wherever it's located, the condition is painful for dogs. You may be able to spot where they're affected based on the reaction as the tissue begins to thaw out. Regardless of where the frostbite is occurring, the dog will likely shake and appear disoriented. The ears are especially susceptible to frostbite because they're thin and don't contain as many blood vessels as thicker extremities. It usually begins on the very tip of the ears. Look out for hard and brittle skin. The ears will feel very cold to touch. Ice crystals may have already begun to form on the tissue. In severe cases, ice may be present on the surface of the skin. If the nose is being affected by frostbite, there may be multiple areas to examine. Typically, the nose remains warm, so it's a huge indicator of a serious problem. Frostbite on the nose will often manifest itself by way of color. The nose will take on a pale gray or white color. Ice crystals may also start to form out of the nostrils. It will also feel rough and cold. When it comes to the paws, check the pad first. The pads are the first thing to come into contact with the cold snow, so it's not uncommon for them to experience symptoms early on. Like the other extremities, the paws will appear tough. The skin of the pads may have blisters and flaking skin already. Also, examine the individual toes and look for discoloration. Wherever the symptoms start to show, the condition will change over time. Once the dog is brought inside, the tissue will begin to thaw. The skin will then appear inflamed. It will become red, swollen, and very painful for the dog. If the tissue is already dying the skin will take on a dark blue or even black tone with the weeks to follow. During that time, the pain will decrease as the dead tissue starts to slough off. The first thing to do when your dog experiences frostbite is to take the pooch into a warm environment and out of the cold. The condition needs to be treated quickly to avoid any further issues. The dog should be wrapped in warm blankets and placed near a dry heating source. Water bottles filled with warm water can be placed in the blanket to provide additional warmth. It's important to avoid applying too much heat or hot water. This can cause further irritation. Another thing to avoid is rubbing the area. While it may be tempting to soothe the dog with gentle rubs, this can release toxins that will cause more damage to the affected tissue. Not only that but this warming process is going to painful for the dog. Rubbing will only intensify the sensation. During this time, it's important to monitor the dog's temperature. Once they've reached their normal body temperature, they need to visit a veterinarian immediately. Vets will examine the extent of the damage and continue to do so throughout the next few weeks. They may prescribe medication to control any pain the dog is experiencing. In serious cases, the dead tissue will be removed and amputation may be required to prevent the growth of bacteria. Hypothermia is a precursor to frostbite. This condition occurs when the dog is exposed to cold weather for a prolonged period of time and their body temperature falls below normal. 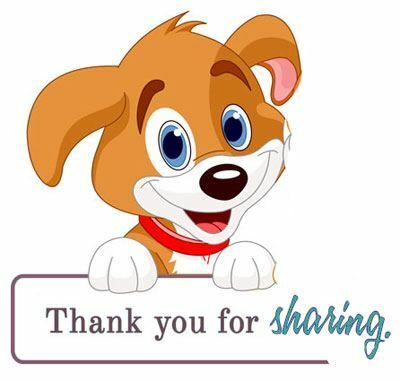 The typical body temperature of a dog is at least 100.5 degrees Fahrenheit with a maximum of 102.5 degrees. 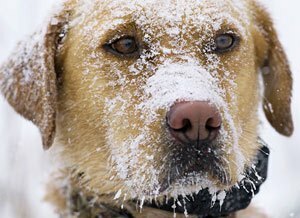 Dogs will experience hypothermia when their temperature falls and stays below this. When this happens, the body is losing more heat than it can create, so it goes into conservation mode by constricting the blood vessels and reducing blood flow to various part of the body in favor of vital organs. 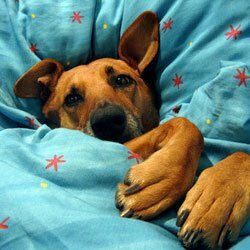 Once dogs are exposed to the cold, their bodies will try to keep the temperature within a comfortable range. This is evident by simple shivering. The fur will also stand up to create an insulating layer of warm air. Once those methods have failed, vasoconstriction to reduce blood flow will begin. This is when dogs will start to show signs of hypothermia. With mild hypothermia, the dog will begin to shake in an attempt to generate more heat. They may also start appearing a bit tired and lethargic. The muscles will start to stiffen, making it difficult for the dog to walk properly. If left untreated, the symptoms will worsen and the dog may stop responding to your calls. As it worsens, their pupils may start to dilate and their coordination will suffer. If you take vital signs, you will notice that the dog's heart rate has dropped significantly due to the decrease in blood flow as the body is trying to keep the vital organs safe from the cold. At this point, frostbite may have already started to affect the dog as well. If the dog has been left out for a long period of time, their body is going into overdrive to stay alive. They may have collapsed or fallen into a coma. At this point, the dog is experiencing serious tissue damage. With the decrease of oxygen and blood, tissue throughout the body will start to die and break down. At the first sign of hypothermia, it's imperative that you bring the dog indoors to prevent the onslaught of severe symptoms. The dog should be placed on a warm floor and wrapped in several blankets to bring up their body temperature. You should continually monitor the dog's temperature until it's back up to 100.5 degrees and they start to exhibit signs of normal behavior. If the condition is bad, you may want to use additional tools to bring up their temperature. These include a dry heating source, warmed bottles, and heated beds or pads. Severe cases will require professional help. Veterinarians will perform a few different procedures to bring up their body temperature from the inside. This includes enemas and flushes. During the warming process, it's important to keep an eye out for signs of frostbite and sensitivity. Your pooch will likely experience pain as their skin warms, so be wary of rubbing and massaging. The best way to prevent hypothermia is to limit the dog's time in cold weather. They should be heavily monitored while they go outside to relieve themselves. If the dog needs exercise, allow them to go outside for multiple short periods of time. They should also have access to the warm indoors at all times. Another great method to keep your furry friend warm is to invest in booties and a jacket. The paws are the first thing to lose heat, so booties can help buy more time in the cold. The same goes for a thick coat that adds more insulation. If you're going for a walk, it's recommended to bring a towel and dress the dog in a waterproof coat. Getting wet in the cold weather will cause the dog's body temperature to drop at a faster rate. The waterproof coat will prevent splashes of water from affecting them while the towel is there to dry them off. Dogs, like humans, will react strongly to the extreme cold of winter. While many breeds are equipped with thick fur coats for protection, it's not enough to combat Mother Nature. Understanding how hypothermia and frostbite affect your dog will help you to keep them safe all winter long.